Clothes make many statements. It conveys the message of a civilization. It is a cultural trait. It often has a geographical and religious context. It conveys traditions, skills and craft. It hides and reveals. 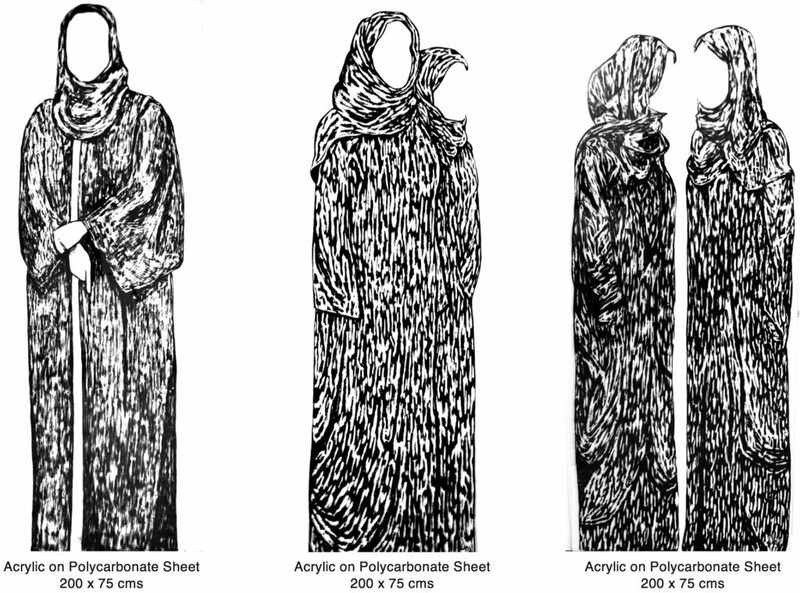 As an artist who was new to UAE, I have portrayed my curiosity and fascination with the ‘Abaya’. Its colour, texture, flow and mystery are portrayed as well as the pride with which it is worn. I have used polycarbonate panels instead of canvas to capture the strength of the lines in the format of an installation. The translucency of the material allows the ‘women’ to inhabit any environment in which they are placed. As a female artist, I have chosen to portray the strength and the beauty of the Emirati women, in a simple and direct fashion. The title of the series is ‘Anonymity’. 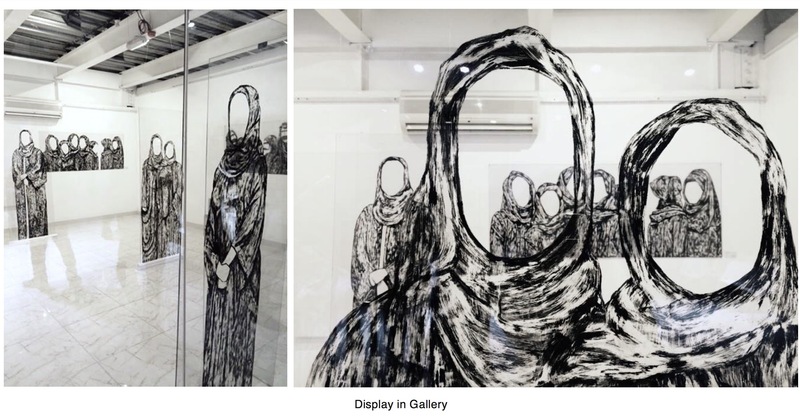 The subjects within the draped Abayas are left empty so that the audience may interact with the works and actually be the women. 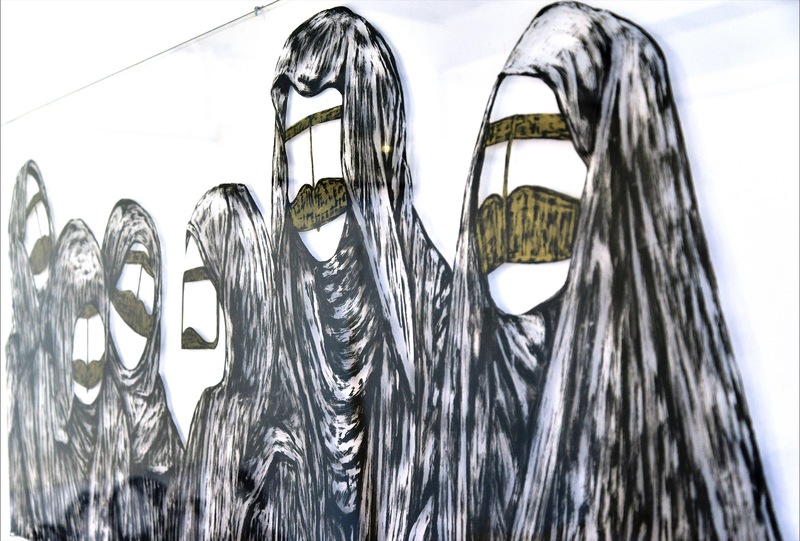 With this series I am trying to highlight the pride with which the Abaya is worn and bring the strength and presence of Emirati women to the forefront.